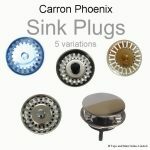 In 2010 Carron Phoenix introduced the stylish Revolution™ pop up waste and overflow into many of their kitchen sink ranges. 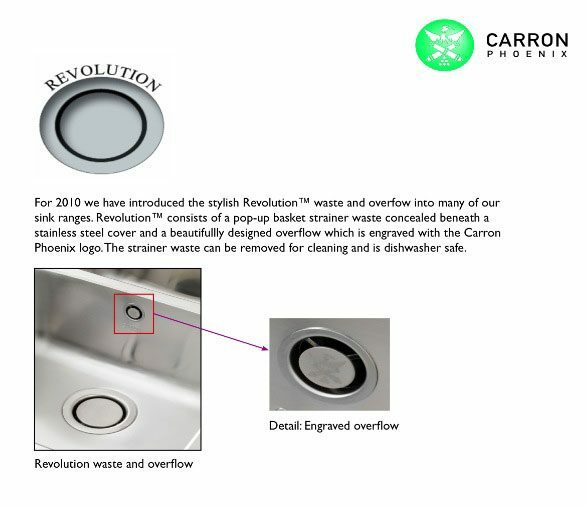 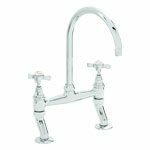 Revolution™ consists of a pop-up basket strainer waste concealed beneath a stainless steel cover and a beautifully designed overflow which is engraved with the Carron Phoenix logo. 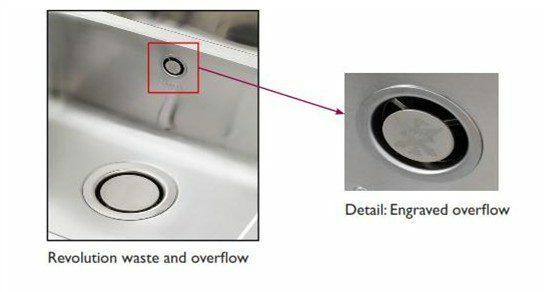 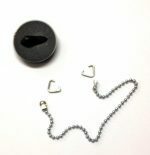 The strainer waste can be removed for cleaning and is dishwasher safe.